BOOK REVIEW: “Ultimate Betrayal” By Jo Ann Wentzel @WentzelJo #Science Fiction #Dystopian. 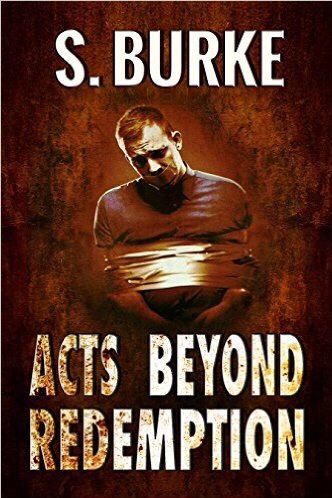 #RRBC – Welcome to the World of Suzanne Burke. BOOK REVIEW: ULTIMATE BETRAYAL. By JO ANN WENTZEL. Meet author Jo Ann Wentzel. Jo Ann Wentzel has been married to the same man, Dan Wentzel, for over 52 years. She is a mother, grandmother and former foster care provider. She worked with over 75 kids while also working as a writer for weekly newspapers and many websites. She served as a Guardian-Ad –Litem and Court Mediator. She and her husband have been speakers and workshop presenters for many groups including foster parents. Almost two years ago, she and her husband retired to a motor home and travel the US with a rescue dog named Jessie. Ultimate Obliteration is Wentzel’s fourth book and sequel to her novel Ultimate Betrayal. In her first novel, she describes her setting this way “Imagine a dystopian world where society cannot protect their children from moral decay and the spread of evil.” Ultimate Obliteration continues finding a solution to this issue with many using their own brand of justice. The Rave Reviews Book Club selected her book It Begins and Ends with Family as one of the Books of the Month. This book describes her experiences working with challenging teens and the secrets to running a foster home. Wentzel also wrote a book A Collection of Jo Ann’s Thoughts, a selection of a variety of her articles in answer to many of your questions. She has several writing projects in the wings so you certainly will see more of this author. Imagine a dystopian world where society cannot protect their children from moral decay and the spread of evil. Andrew Zenith, a conscientious local TV reporter, never worries about getting ahead just making a difference. He uncovers a story that will change the direction of his life forever. After hearing this story, all he thinks about every moment is confirming the facts he hopes are not true. He is driven to save the children. This task is near impossible since the majority of people have cold hearts and a loss of compassion for others. He joins with others who care. Their mission-is to save the children at all costs. If their mission fails young lives will be ruined and even cut short. The fate of the children rests upon finding answers to the questions no one even wants to ask. Will he succeed against overwhelming odds? MY REVIEW: 🌟🌟🌟🌟🌟 A look into a frighteningly possible world. This book may well be science fiction, and set in a future Dystopian society, but, you would need to be utterly hidden from our current society, with no outside communication whatsoever, not to understand that this book can well reflect with rare exception, the inhumanity exhibited in our world today. Not in some far distant time. The character of Andrew Zenith is presented well. Author Jo Ann Wentzel’s writing allows us to feel the many layers of this man, his passion for life, his compassion for those for whom life has become unbearably dark. Most notably the children with nowhere to run and nowhere to turn to for safe-haven. The book permits us a glimpse into a future where the desensitization to other people’s pain has created a callous indifference to suffering, and a well-shielded conscience. The story is classical good vs evil. What sets it apart from other such classic tales is the author’s ability to allow many shades of both darkness and light to co-exist. It is a complex co-existence. Author Jo Ann Wentzel weaves it well. An entertaining and thought provoking read indeed. I look forward to reading the sequel. Jo Ann Wentzel’s Amazon Author Page. Welcome to my new feature. Author Showcase! Featured genre for June is “Children’s Books.” My first guest is Author Gracie Bradford author of “June The Prune & Lady Bird.” (Cancer Stinks.) Kids & Pets Cracking the POWER Code. Thank you Soooz. This was marvelous. Hi, Natalie! I found it hit a chord with me, and I do think you’ll enjoy it.😊 Thanks so much for stopping by. This seems to be an interesting book. I must check it out! Thanks for sharing a nice review Sooz.